The Chinese government does not recognize the Wutun as a separate people group but includes them under the Tu nationality. 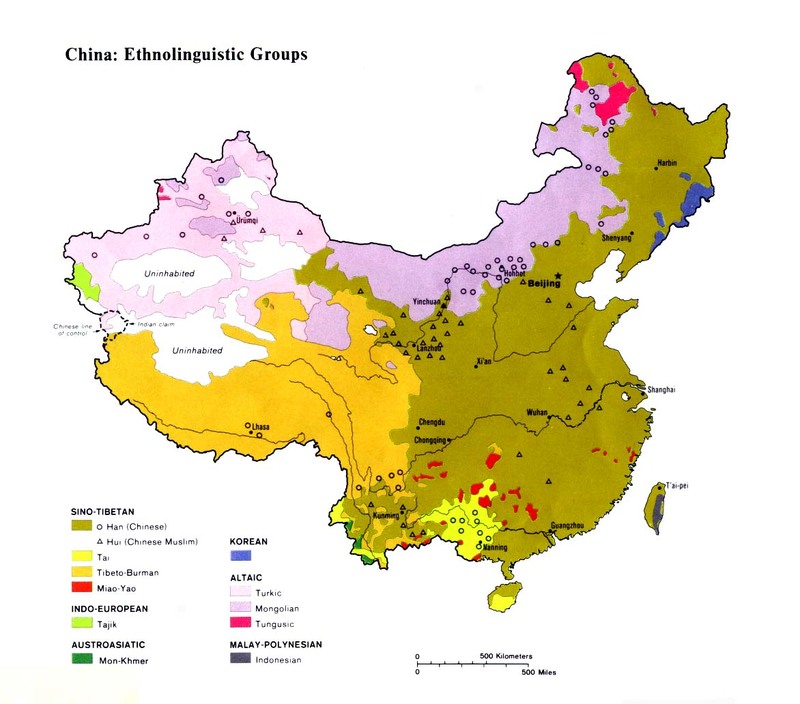 The 2,000 Wutun resist this classification and insist on their own status. 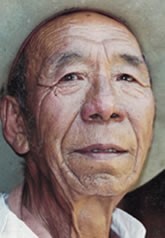 There are also ethnic Tu people in the same area, but the two groups cannot understand each other's language. Neighboring Tibetan peoples refer to the Wutun as Sanggaixiong, meaning "the center of the lion." According to Wutun oral history, a long time ago a Tibetan king sent soldiers to where the Wutun now live to drive off other groups in the area. The soldiers stayed and married women from other tribes. Together they eventually became the Wutun people. It is claimed that the soldiers came from Lhasa. The Wutun children began to speak their mother's language and could not speak Tibetan - the language of their fathers - so they lost their original language. Today all Wutun family names are Tibetan language names and not Tu names. The Wutun are skilled artists. Buddhist scenes and the Buddha himself are the most common subjects of their paintings. They claim their artistic skills came about because the original soldiers studied art in Nepal. Tibetan Buddhism is the only religion among the Wutun. They are fanatical believers. Their whole ethnic identity is bound up in their religion. Although they do not have their own temples, the Wutun frequent Tibetan temples in the Tongren area. Like all Buddhists, the Wutun believe they will end up in a state of bliss after death. But, being better and more privileged, they believe they will go there directly, while other Buddhists achieve enlightenment only after going through many trials and testings. The Wutun have an almost complete lack of knowledge about the existence of Christianity. In the 1920s and 1930s there were Christian and Missionary Alliance workers nearby. In 1996 a 74-year-old Wutun man told a visitor, "When I was a small boy I heard something about this Jesus religion, but I did not understand. There are no believers in any other religions among us Wutun except for Buddhism. We are not interested in any new religions because we know that we have the best and only true religion in the world." View Wutun in all countries. 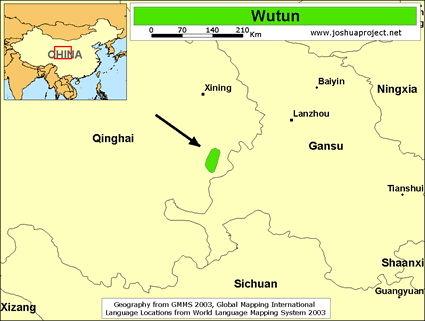 Location in Country: The 1991 Encyclopedic Dictionary of Chinese Linguistics lists a population of 2,000 Wutun people. They live in three main villages: Wutun Xiazhuang, Wutun Shangzhuang, and Jiangchama, located in the Longwu District of Tongren County in the eastern part of Qinghai Province.